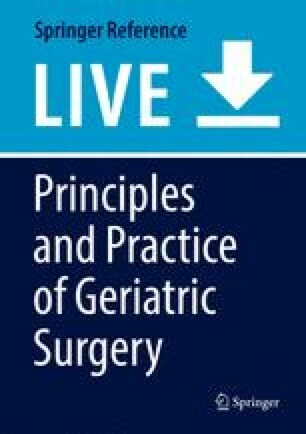 Arguably more than any other community, the care of the geriatric surgical patient draws on the full breadth of a physician’s skills, interweaving a sophisticated understanding of age-related physiology, advanced therapeutics, and vigilant humanitarian concern for an at-risk and often neglected patient population. Seldom is this more evident than in the geriatric surgical patient in acute post-operative pain. In their review, Brennan, Carr, and Cousins note that “because pain management is the subject of many initiatives within the disciplines of medicine, ethics, and law, we are at an ‘inflection point’ in which unreasonable failure to treat pain is viewed worldwide as poor medicine, unethical practice, and an abrogation of a fundamental human right” (Brennan et al. Anesth Analg 105:205–221, 2007).